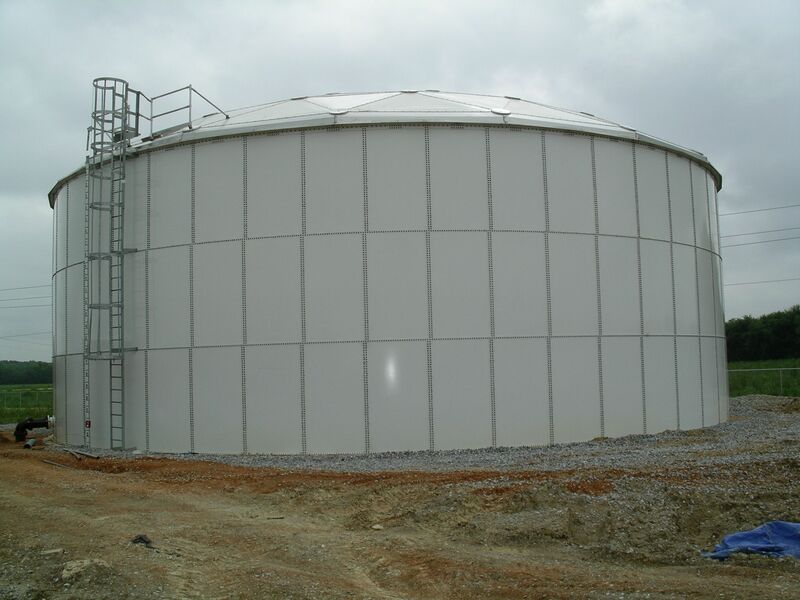 When it comes to steel bolted fire protection water storage tanks, the experts here at Steven Brown & Associates recommend CST Storage. CST Storage has been an industry leader in the steel bolted storage tank for both dry bulk storage, as well as fire protection water storage. Why choose a CST Storage above-ground steel bolted water storage tank over, say, a welded tank or concrete water tank of the same capacity? The first reason is coatings. With the welded tanks, the quality of your tank coating depends on several factors beyond your control, such as weather, workmanship of the welder or sand blaster, as well as the coatings of each section of the tank. 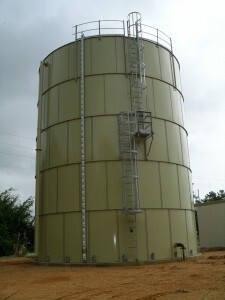 Depending on the humidity and weather conditions, the duration of the tank painting can be delayed, or worse, the quality can suffer in the rush to finish the project. With concrete tanks, you are also at the mercy of the cement mixing. Are there any contaminants present? What about the quality of the concrete itself? Are there any hairline cracks present? It is very difficult to guard against this. CST Storage above-ground bolted tanks not only have the advantage of superior proprietary epoxy coatings applied to the tank metal, but the application process is done in an environmentally-controlled ISO 9001 certified facility. 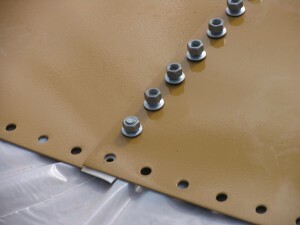 This allows for a clean application process, as well as thorough quality control testing prior to shipment. And speaking of clean, this process is a “green” alternative to field-welding and field painting, as there are no volatile organic compounds (VOC’s) at the jobsite. As for the coating itself, CST Storage uses a proprietary Trico-Bond EP® electrostatically- applied epoxy coating, which is corrosion-resistant, and has been shown to out-perform competing coatings in the Falling Sand Test (ASTM D-968). These specialty coatings not only help contribute to the longevity of the tank life, but the bolted tank design itself is the reason for the relatively low maintenance costs when compared to a concrete or welded design. Should a tank section need replacement, it is a simple process. The bolted tank design also allows for future expansion if necessary. The shipping costs are also relatively low with a bolted tank design. The tank sections are bundled together and shipped in compact form, which protects them from damage during transit. When it comes time to assemble the tank, the process is simple and quick, as CST Storage uses trained erection crews that are highly skilled and knowledgeable about their product. CST Storage also offers additional services and accessories, such as foundation design, tank heaters and insulation. All of these qualities are the reason CST Storage remains an industry leader in above-ground fire protection water storage, and the recommended choice for Steven Brown and Associates. Call us today for more information through the number below.